Includes express skip the line VIP entry, VIP Second Level with Balcony, VIP Bar, Premium Snacks & Private Restrooms. 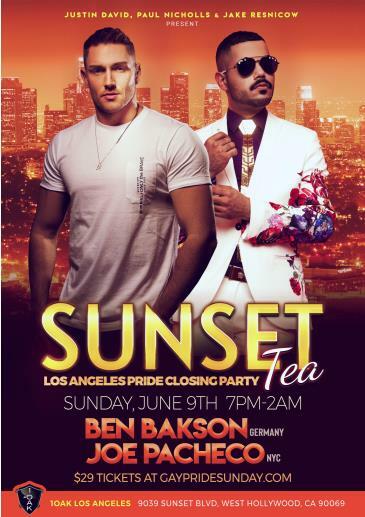 *Includes VIP Express Entry, Balcony VIP Area with Plush Seating & Premium Snacks! 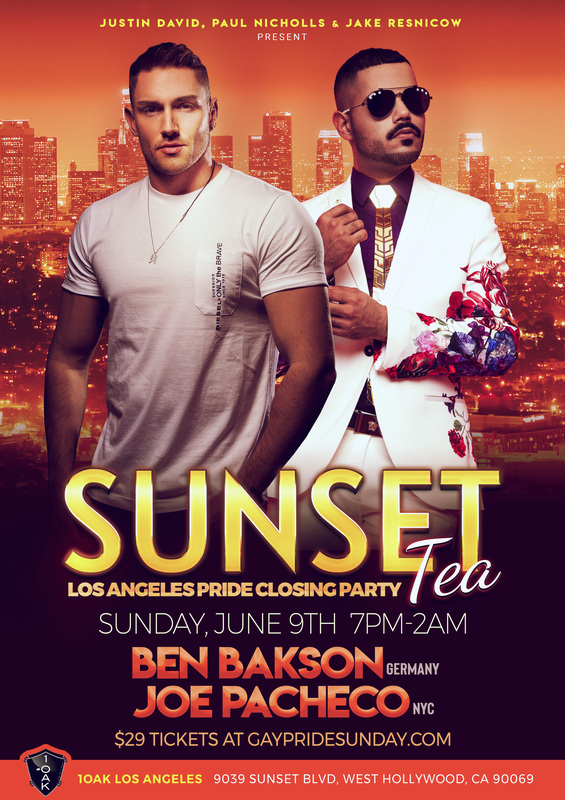 LA's Hottest PRIDE TEA DANCE returns to Megaclub 1OAK to close out Los Angeles Pride! 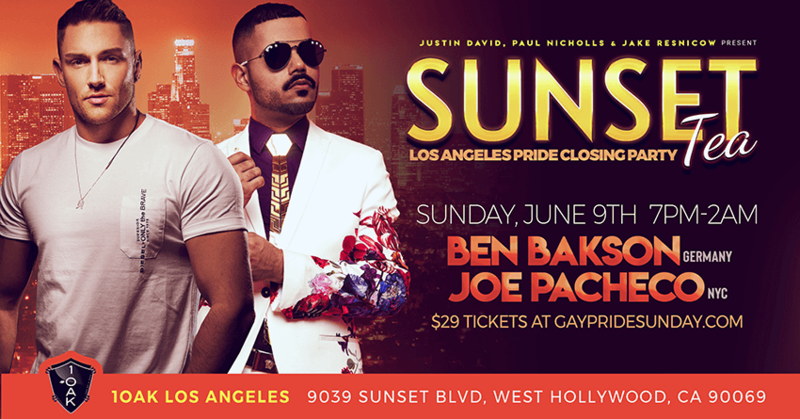 Music by BEN BAKSON (Germany) & JOE PACHECO (NYC) + The 1 Of A Kind Dancers, Surprise Celebrity Guests & Shows! State of the Art Lights, Sound & Production! VIP TICKETS include express skip the line VIP entry, VIP Second Level with Balcony, VIP Bar, Premium Snacks & Private Restrooms.